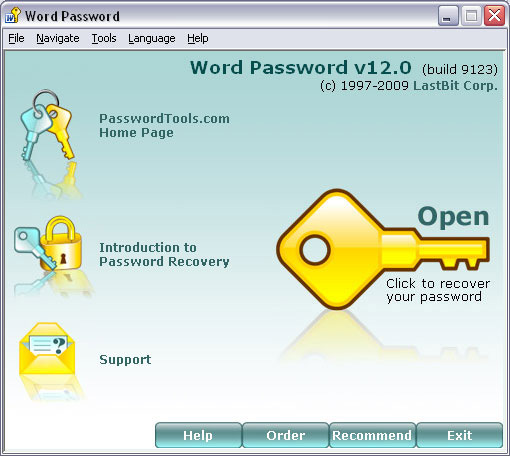 Word Password is a guaranteed password recovery tool ("password cracker") for Word. The unique Guaranteed Recovery technology unlocks a file within a minute regardless of the password length. Unlike competing products, Word Password guarantees successful and instant password recovery. The program features an easy-to-use web-like interface and can crack passwords of any version of Word.